Mami Needs A Mani! : Hello, hello! It's been pretty busy in the "mami" household lately. Since my last post, seen here, my kid' have gone back to school (and consequently, gotten sick way too often), I continued working, and I got to start going back to school myself! Yay! As you can see by my Instagram feed on the right side, I'm still painting, but they'e all part of the second half of the "year in color" challenge that was featured in my last post. Oh. Mygoodness. I had a BLAAAAAAASSST!!! I spent WAY too much money, but I canNOT wait to go again! I might even try to go to The Indie Shop...but don't tell my husband! Ha! Anyways. Polish Con Chicago. Navy Pier!!! This was my first Con, and man did it leave an impression. The venue was huge which is great for those like me that tend to suffer from anxiety...and get claustrophobic. Unfortunately, I didn't take many pics while there because, well... 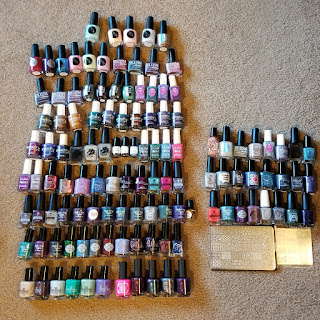 I was too busy buying every bottle of polish that touched my finger tips... Ha! Go check out my friend Cici's blog for an awesome overview of the whole experience! 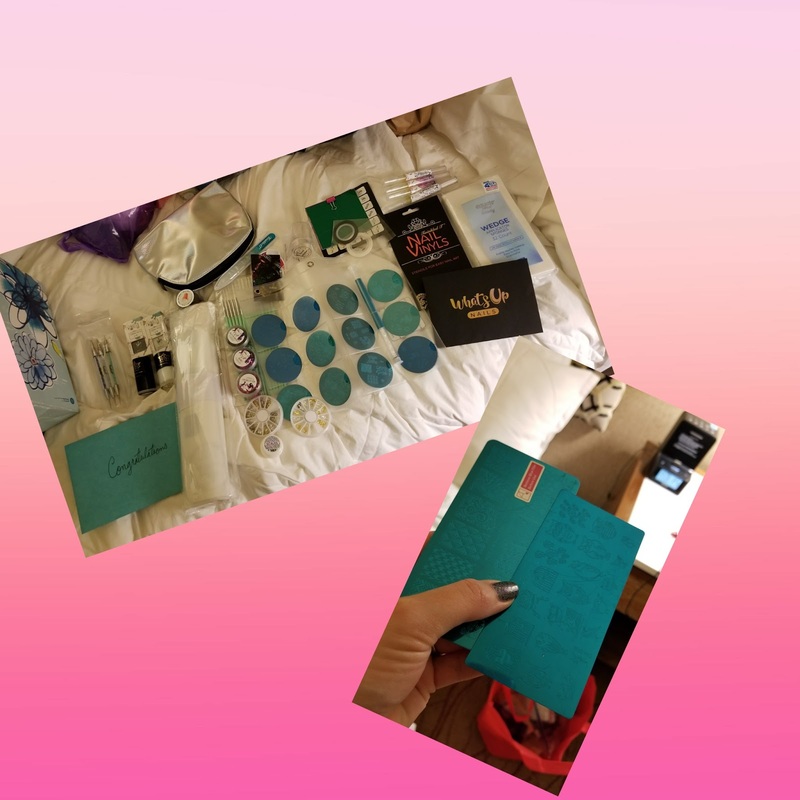 I do have a haul pic, and a pic of the goodies I won! It was like CHRISTMAS!!! And my winnings!!! I was FLOORED when I found out that I won! My friend and I hoofed it 20 minutes from our hotel back to the hall so I could pick it up! So much fun. I can't wait to go again! Did you go to Polish Con? What was your favorite part? 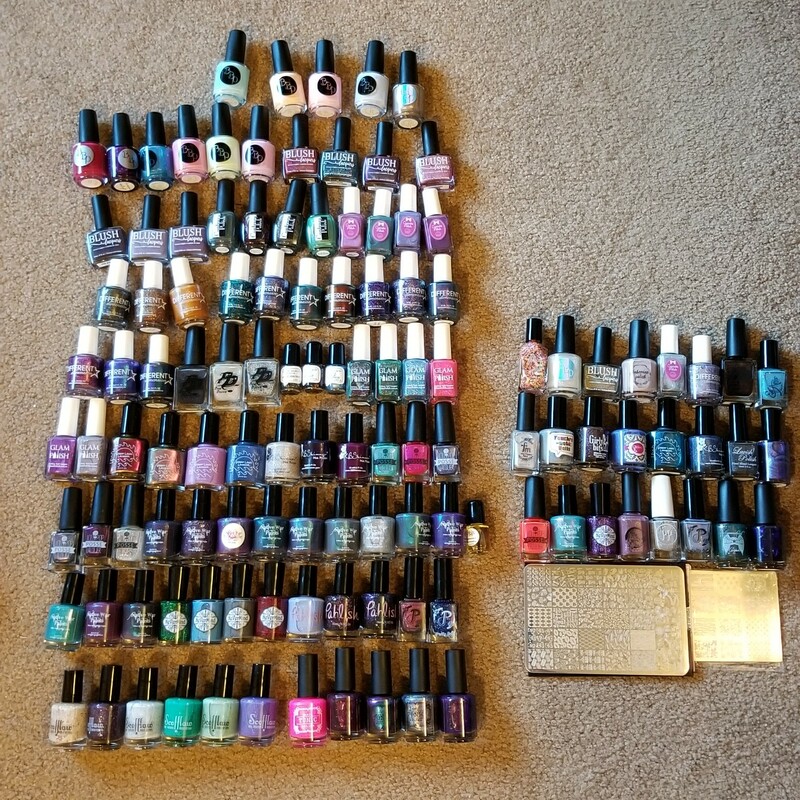 Don't be shy...I won't steal your Polish!